ysabetwordsmith | Poem: "What You're Living For"
Poem: "What You're Living For"
This poem came out of the April 18, 2017 Poetry Fishbowl. It was inspired by a prompt from siliconshaman. It also fills the "magical / mythological creatures" square in my 4-3-17 card for the origfic_bingo fest. This poem has been sponsored by Anthony & Shirley Barrette. It belongs to the Clay of Life series. what they could not make themselves. made from the highest-grade of tool steel. to decorate the ends of rods. not a statue but a golem. "Oh, she moved!" said the potter. not since my parents passed away." that the sun shone through her white flesh. wrote across her forehead: בִּלְהָה. "Is that your name, then?" Bilhah the golem nodded her head. "Why does Bilhah no longer move?" my mother, who was also unwell,"
and strong and need no help. So she just stands there." that he was being a fool. just because your first job is done," he said. many more people whom you could help. It is a mitzvah to visit the sick." Menachem turned to the potter. "Do you have any objection?" sure my father would be honored. your service to the sick in this city." the bustling street in query. who needs visiting," Menachem said. certain to know such things." in no shape to walk that far. people who were old and frail. for the most part now." "Yes, of course," said the doctor. a new purpose in her life. Bilhah's painted lips curved in a smile. Blacksmith tools include a wide variety of products such as dies and swages. A die has a raised pattern on the end; you put it against the metal to be marked and hit the other end with a hammer, leaving a sunken impression. A swage has a hollow that you stick metal into and hit it, leaving a raised shape; clapper or tong swages have two matching hollows, so you stick the bar between them and hit the outside to make a three-dimensional shape. Check out this acorn swage. Porcelain is a fine white clay. It has a long history around the world. Jewish pottery comes in a variety of styles. Blue, brown, and verdigris are popular colors. 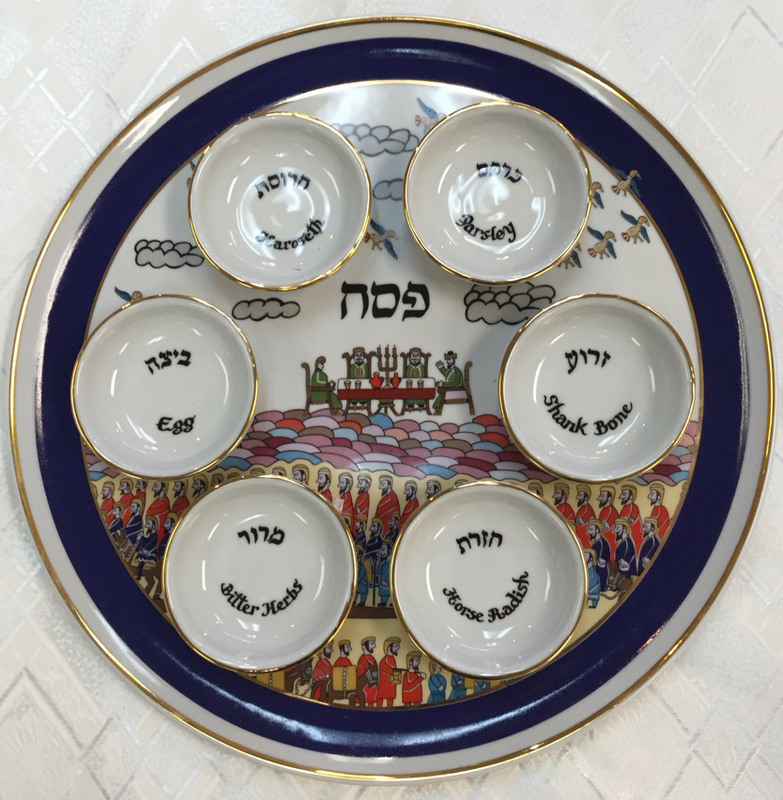 Porcelain is used for things like seder plates that may be decorated with vivid colors and scenes. See one with and without its matching cups. Everyone needs a life purpose. Follow the steps to find yours. Visiting the sick, or bikkur holim, is a mitzvah. Understand how it works. Yay! You talk good story. I think you've added a little clarity to my life. Led to a couple of fun reads via the links to life purpose and porcelain. Finding a purpose may become important after I retire at the end of next week. * If you have grandchildren or other littles in your life, I highly recommend The Grandmother Principles. Much of its wisdom generalizes beyond the core topic. * If money is tight, consider activities which can generate a little extra money but don't require the commitment of full-time work. * If money is not an issue, look at hobbies or volunteering. Do the stuff you always wanted to do but didn't have time for while working. * Spiritual activities are also a great idea, for personal fulfillment and thinking about the next life. * Socialize. If you have access to people worth being around, it's very helpful to have a strong support network. * Consider your legacy. You may wish to spend time consolidating what you have learned or gathered and then passing it on. Some people teach or write books, others look at how to pass on a collection, etc. * Give back to the world. Gardening and other environmental activities are both fulfilling and beneficial. * Activism. Some people wait until children are grown and other major obligations met, before indulging in the kind of vigorous boat-rocking they really want. I have found this batch of worksheets very insightful for personal development. They work just as well for post-career planning. My current plans include music (I have at least four albums I want to record), a little woodworking, and a little writing. My life isn't really interesting enough for a memoir, though I might inflict one on the world anyway, and I'm not much good at fiction, but poetry and nonfiction would work. The worksheets look as though a few of them might be useful. As a historian, allow me to say that the experiences of regular folks are just as illuminating and important as those of famous people -- but far less often preserved, which makes them quite valuable in a different way. If you look under My Work, you'll find a lot of information about poetry and how to write it in the subpages. Yay! I'm happy to help. I said it before, but it's worth repeating. I do like this one! The footnotes make it even more interesting. Copy/pasting those to keep for later because I'm sure I'm going to keep coming back to them. :D I'm glad I could help. This one is really uplifting! Yay! Those last two paragraphs… Lovely! I, too, am going to copy and save your long list of suggestions . DO NOT USE Hands to hold under a power hammer. A swage is a mold that you stick metal into and hit it to make a shape. I figured that this would be clearer if people looked at a picture of one instead of me trying to describe it. Aaaand I just remembered my vision-impaired readers, so I'll have to go back and edit that.